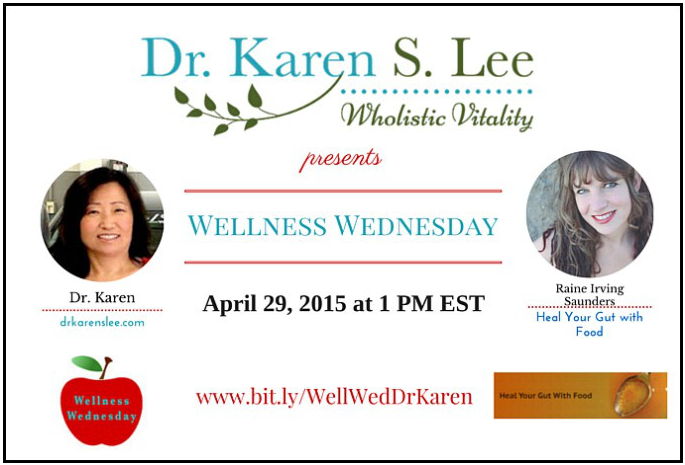 Hear my conversation with Dr. Karen Lee from Wholistic Vitality on Wellness Wednesday on Leaky Gut, GMOs, and how I healed from digestive issues and insomnia, panic, and anxiety with GAPS! Are you suffering from insomnia, panic, or anxiety? If you have experienced insomnia or panic and anxiety symptoms, you need to read this! Learn more about how I recovered from these chronic issues which affected me for over 20 years: The GAPS Diet for insomnia, panic, and anxiety. I did this without drugs and using healing, traditional foods. I would guess those numbers are probably higher due to the fact that not all incidences are reported. I never wanted to be someone who relied on medication for anxiety, but at least a few times before I resolved my issues with food, I became desperate and took drugs. What I learned is that those drugs didn’t solve the actual cause of the problem. In fact, things only became worse while taking those medications. In Gut and Psychology Syndrome, Dr. Natasha Campbell McBride discusses how damage to the gut from poor diet and lifestyle habits greatly contribute to issues like hyperactivity, ADD/ADHD, depression, learning disorders and fine motor skill degeneration, and even schizophrenia. Based on those observations, it’s not a stretch to say GAPS or a similar healing protocol can also resolve panic, anxiety, and sleep disorders. I am a living testimonial! I have been free from insomnia, panic, and anxiety for the last 4 years. What if you could stop taking drugs and recover from sleep issues, anxiety, and panic disorder naturally? Do you think diet and lifestyle change would be worth losing dependence on prescription drugs that only manage symptoms? If the answer is yes, you have nothing to lose but fear and chronic health issues! I highly recommend listening to my conversation with Dr. Karen Lee and reading my article about how GAPS allowed me to overcome issues that crippled my life for over two decades. I am so grateful for the gift of restored sleep and improved health and wellness given to me by a healing, real food diet that includes traditional foods. How have you healed your body from emotional and brain or nervous disorders?